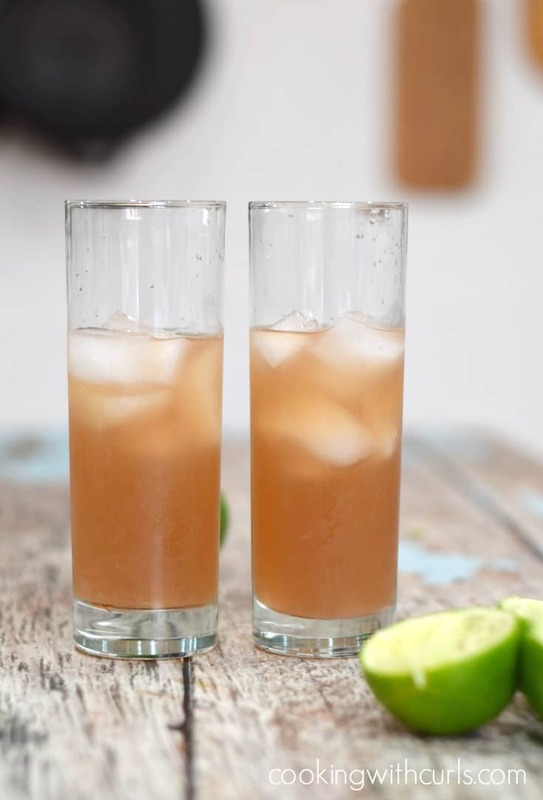 Summer parties need refreshments, and those refreshments need to be light and refreshing. No one wants to grab a drink to cool off on a sweltering hot day, only to feel weighed down by a dark and heavy beverage. 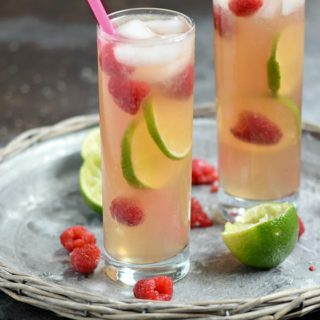 This Raspberry Fizz Cocktail is exactly what your party, and your party guests need…..
A good quality Vodka, raspberry liqueur, and lime juice, combine for the perfect base that is topped off with light and bubbly lemon-lime soda to create this delicious Raspberry Fizz Cocktail…..
We are only going to make two cocktails today, but you can easily multiple the number of guests you have invited to the measurements below to fill your pitcher or drink dispenser. Fill a cocktail shaker with ice. Add the vodka, raspberry liqueur, and lime juice then shake to combine….. Fill two Collins glasses half way with ice. Divide the cocktail between the two glasses…..
Top off with lemon-lime soda. 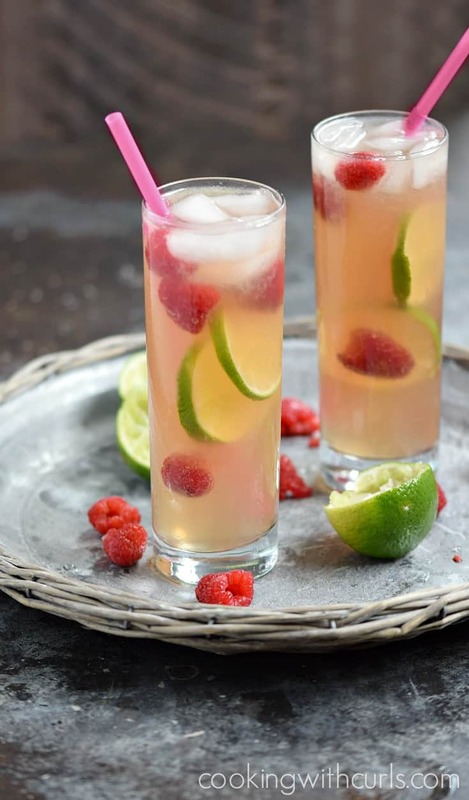 Garnish with fresh raspberries and lime wheels and serve….. 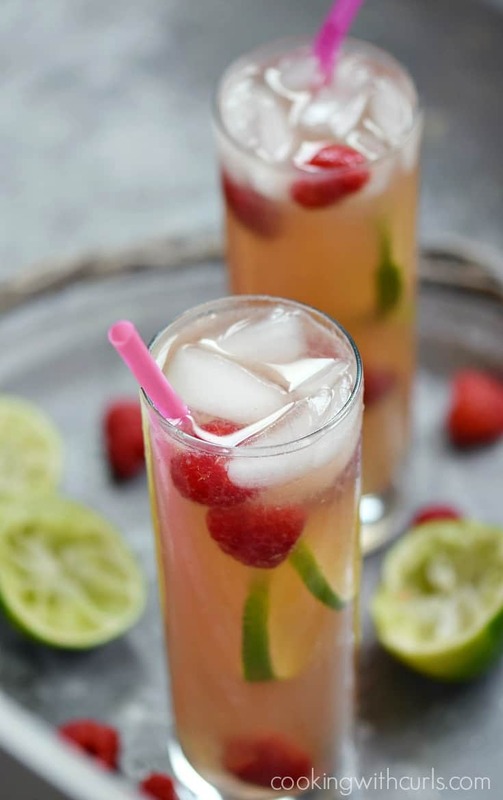 This Raspberry Fizz Cocktail is sweet and tart, with a hint of raspberry flavor…and of course bubbly!! If you do not add enough ice to your glass do not worry, you can always add more after the soda is added to top it off. I used Chambord® Raspberry Liqueur, but I am sure there are others. I do not consume much sugar, so drinks seem extra sweet to me. 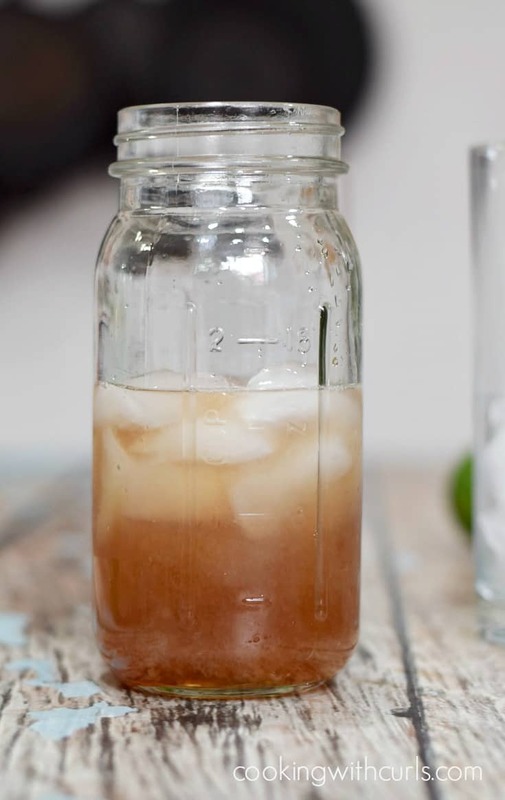 If this drink is too tart, add a Tablespoon of Simple Syrup or more until it is perfect! 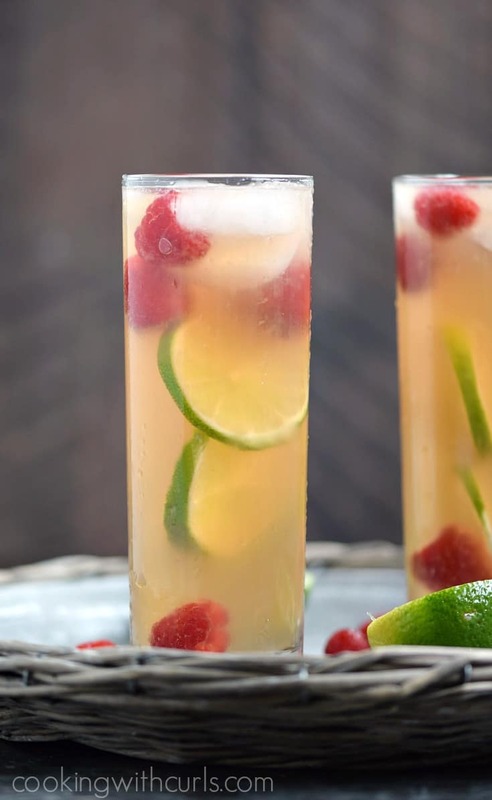 Get creative, use as many raspberries and lime wheels as you like to garnish your cocktail. I still have not found my black cocktail straws, so I had to use neon pink bendy straws. A light and refreshing Raspberry Fizz Cocktail is the perfect way to cool off on a hot summer night, and it's guaranteed to become a favorite! Fill a cocktail shaker with ice. Add the vodka, raspberry liqueur, and lime juice then shake to combine. Fill two Collins glasses half way with ice. Divide the cocktail between the two glasses. Top off with lemon-lime soda. Garnish with fresh raspberries and lime wheels and serve.